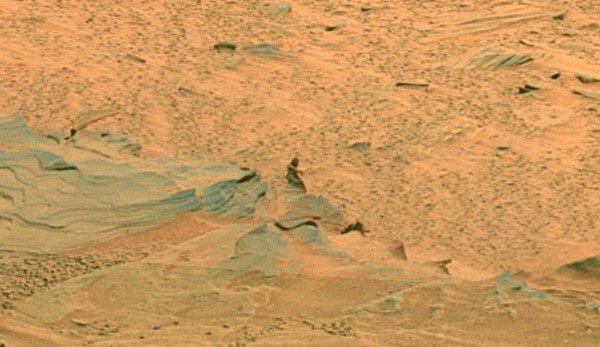 blogsters guild: Mysterious Martian Figure Found on Mars? 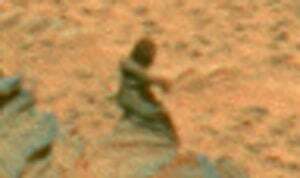 According to the Mail on Sunday , the sighting came after alien hunters spent "years" scouring NASA images for evidence of little green men before unearthing this example. for much more on Mars than that! If we read a book (Quran) by God on Prophet Muhammad (Peace b upon him), 1400 years ago, he has very clearly mentioned that there are not only humans in this universe but there are amny creatures. The one of them He has mentioned by calling "Jin". It is also mentioned that they stay on outer space than earth.The stories in that book also very clearly say that they also visit the earth and have great powers.Presently we listen the similars things in news, an alien creature has been seen, a alien creature has more speed than us etc... there are many others things now has been possible by science by indicated by Quran 1400 years ago, that time there was no any one even can imagine such happenings. Plz. read Quran once, you will be astonished to read that 1400 years ago described what was that?? ?